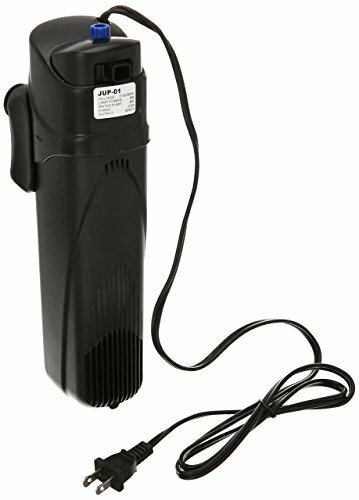 This amazing JUP-23 submersible UV sterilizer by SUNSUN allows simple and effective UV control of harmful microorganisms & free-floating algae. Compact and versatile units are ready to install - no additional tubing or circulation pump required! Built-in pump directs waterborne organisms past the UV-C lamp for clean, clear aquarium water. Install in vertical or horizontal position right in your aquarium or sump. For fresh, saltwater aquariums or garden ponds. Includes UV unit with built-in pump and UV ballast, UV-C lamp, and suction cup mounting brackets. This amazing SunSun JUP-01 submersible UV sterilizer allows simple and effective UV control of harmful microorganisms & free-floating algae. Compact and versatile units are ready to install - no additional tubing or circulation pump required. Large mechanical pre-filter sponge captures debris to optimize UV exposure. 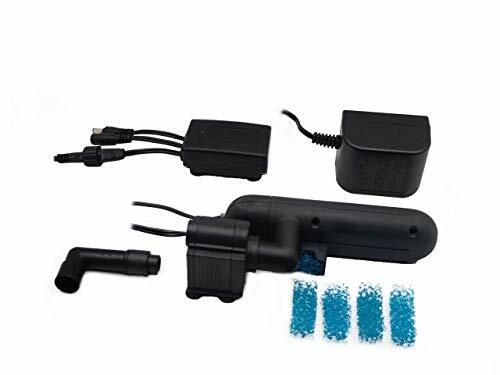 Built-in pump directs waterborne organisms past the UV-C lamp for clean, clear aquarium water. Install in vertical or horizontal position right in your aquarium or sump. For fresh, saltwater aquariums or garden pond. Includes UV unit with built-in pump and UV ballast, UV-C lamp, mechanical pre-filter sponge and suction cup mounting brackets. Change bulb yearly for optimum UV performance. The Odyssea UV Pro Sterilizer is the most simple and efficient device for eliminating algae and harmful organisms. The powerful output from the UV lamp helps ensure that disease causing pathogens cannot reproduce and lowering the changes of a disease outbreak in your system. Includes 18W UV bulb. External use only. Requires additional hosing and pump. 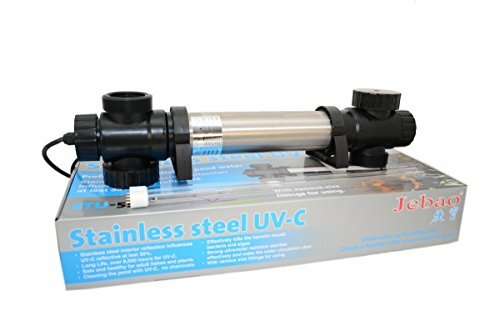 This amazing SUNSUN JUP-01 submersible UV sterilizer (2nd Generation) allows simple and effective UV control of harmful microorganisms & free-floating algae. Compact and versatile units are ready to install - no additional tubing or circulation pump required! Large mechanical pre-filter sponge captures debris to optimize UV exposure. Built-in pump directs waterborne organisms past the UV-C lamp for clean, clear aquarium water. Install in vertical or horizontal position right in your aquarium or sump. For fresh, saltwater aquariums or garden pond. 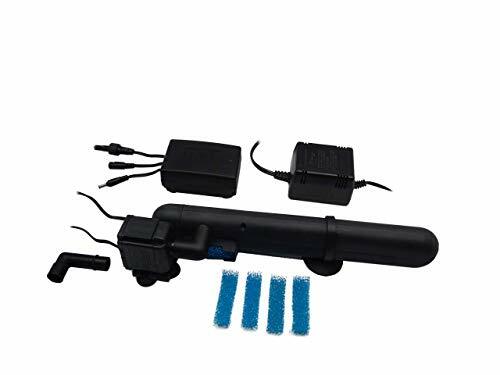 Includes UV unit with built-in pump and UV ballast, UV-C lamp, mechanical pre-filter sponge, and suction cup mounting brackets. Change bulb yearly for optimum UV performance. Hang-on filter with integrated U.V. Sterilization, self-adjusting surface skimmer and replaceable filtration media,. 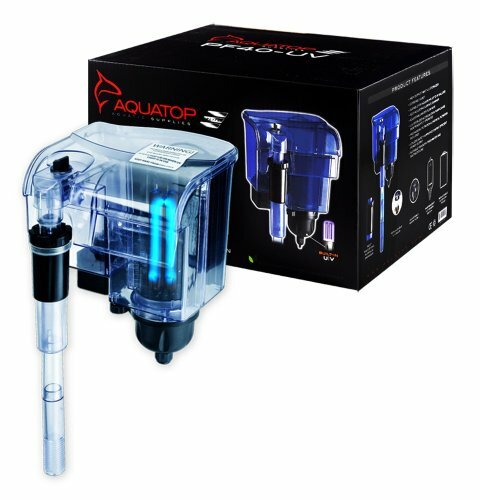 AQUATOP PFUV-40 Power Filter is capable of filtering up to 128 gallons per hour with an adjustable flow rate. 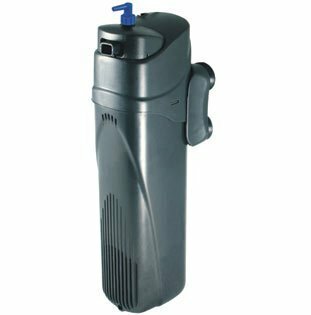 Suitable for freshwater and saltwater aquariums up to 40 gallons, this convenient "Hang On Back" style filter has a built-in, self adjusting surface skimmer for cleaning the surface of the water and to promote gas exchange. It is not recommended that you use this product on tanks that are less than 15 gallons. The featured UV Sterilizer of the PFUV-40 requires no extra plumbing, allowing for a quick and easy installation. 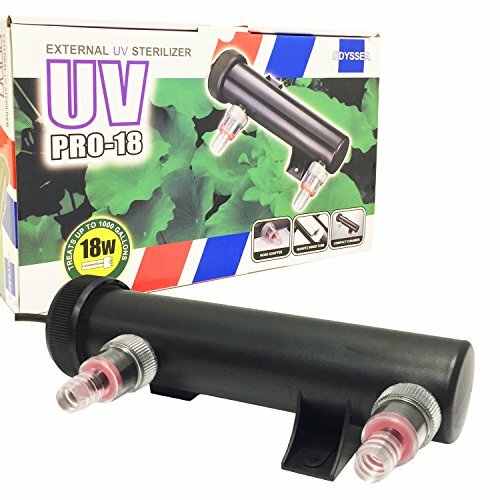 The UV Sterilizer of the PFUV-40 helps eliminate unwanted algae blooms, keeping aquarium water crystal clear and aids in the health of your aquatic creatures by eradicating free-floating parasites. The PF-UV Series fits on aquarium rims up to 3/4", and comes equipped for mechanical and chemical filtration. 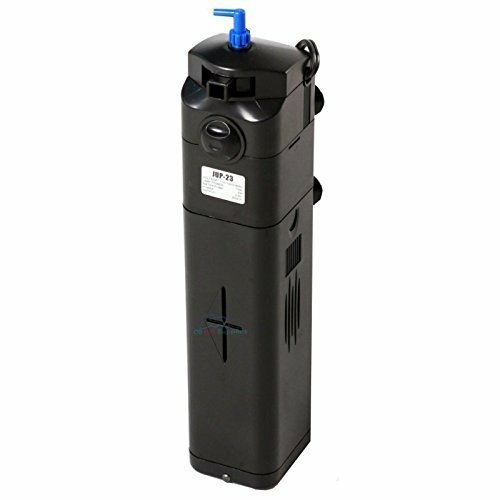 With a replaceable filter pad enhanced with AQUATOP's Bamboo Carbon, UV Sterilization and a self-adjusting surface skimmer, the PFUV-40 is a one-of-a-kind filter for all your aquarium needs. Want more Uv Sterilizer Saltwater similar ideas? Try to explore these searches: Cax Light Bulbs, Capella Corner, and Portable Oven.